e-PRO - Certification for Realtors who use the most advanced technology available for the real estate industry. Recognized as one of Houston's Top Realtors by "H Texas Magazine"
While awards do not necessarily offer the whole picture of any specific Realtor or Team performance, it is a good indicator of a high production level in the market area. RE/MAX Awards are excellent "bench marks" to be used by consumers to identify the Top Producers. 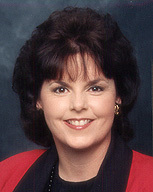 Platinum Club Award - The Kathye Warfield Team consistently earns the RE/MAX Platinum Club Award year after year. Less than 5% of all RE/MAX Sales Associates qualify for Platinum Club status each year.